The Camera Remote for GoPro Hero Cameras app controls GoPro Hero 4, 5, 6, and 7 action cameras over Wifi. Supports GoPro Hero 4, 5, 6, 7, Hero Session, Hero 5 Session, Hero+, Hero 2018 cameras. Automatically connect to the camera Wifi network *. 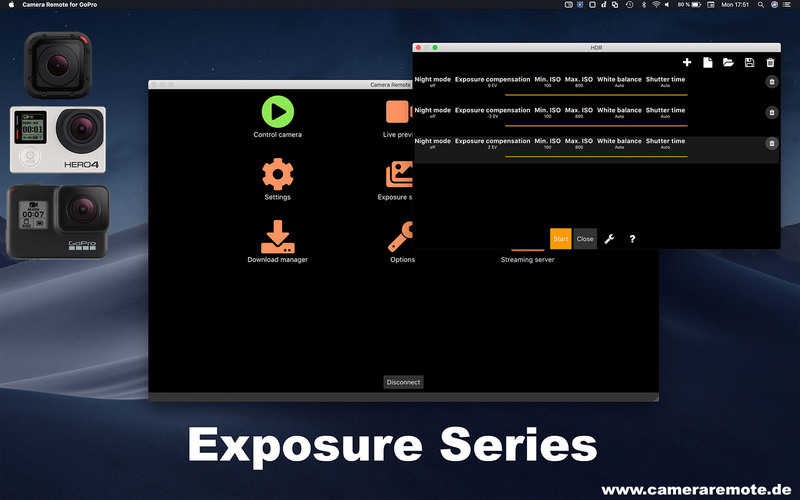 Exposure series tool: Capture exposure series, e.g. 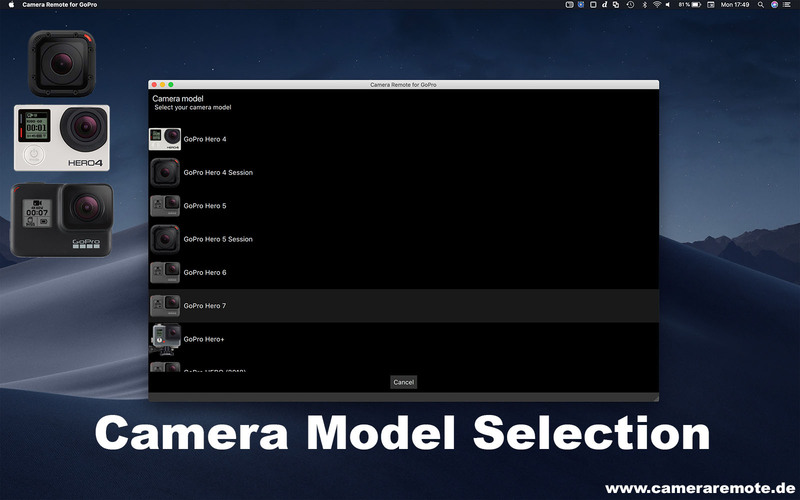 for HDR by defining night/day mode, exposure compensation, shutter time, ISO limits, and white balance for each image. 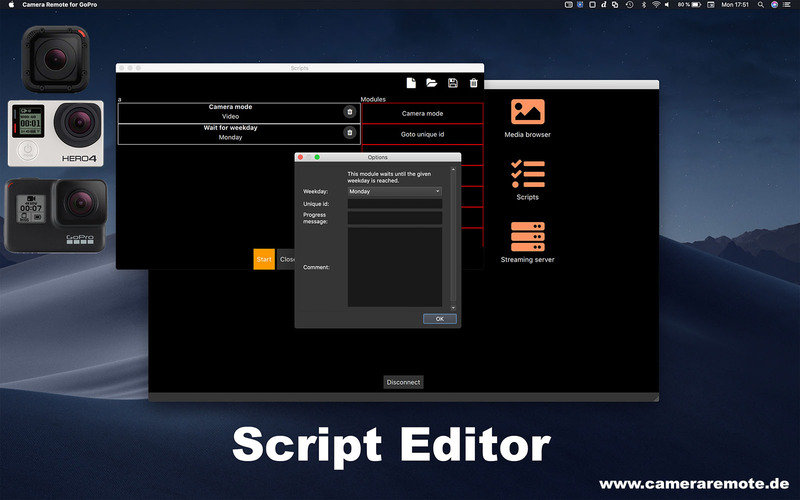 Scripting tool: Create your own scripts via a drag and drop interface (NO coding is required!). 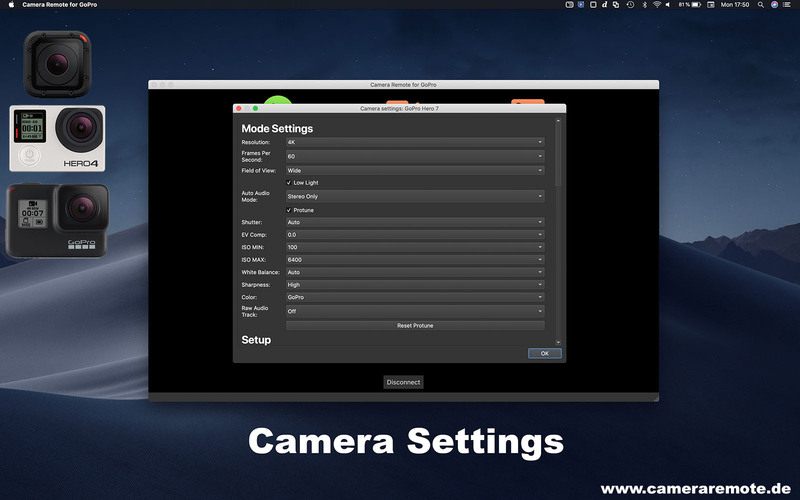 Change camera settings (resolution, protune, frame rate, shutter time, exposure compensation, white balance, GPS, volume, audio, microphone, etc.). Live video and audio preview. 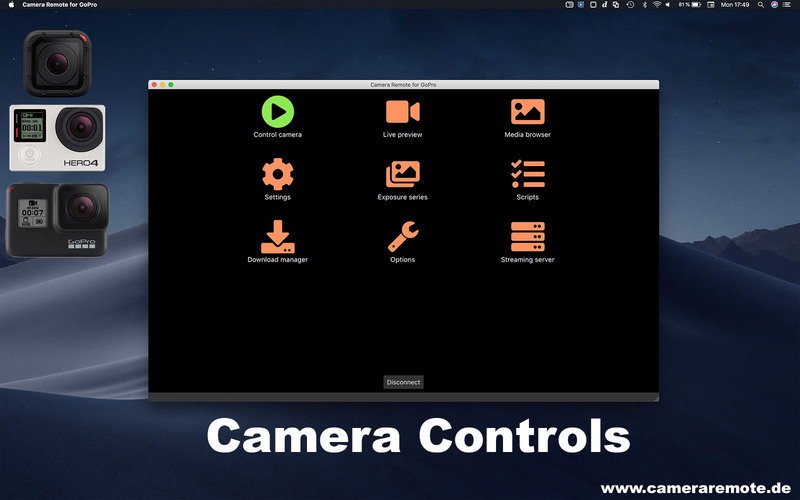 Streaming server: Activate the camera video stream and view it in other applications (VLC, ffmpeg, etc.). 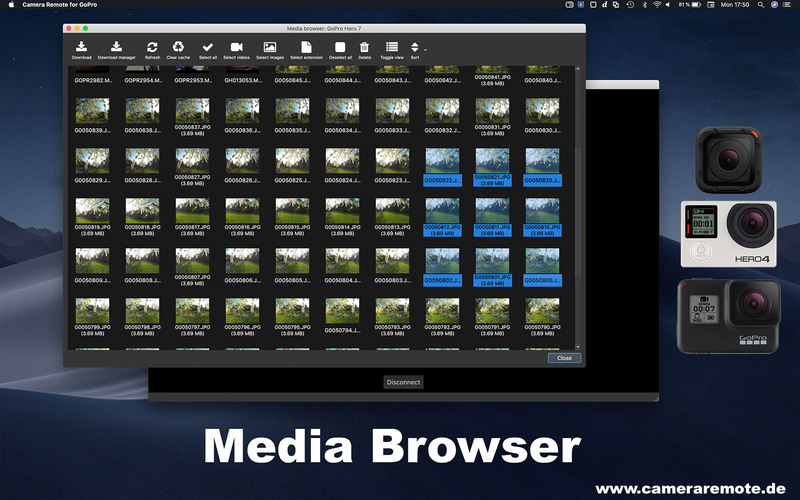 Download media (photos, videos, RAW) over Wifi. 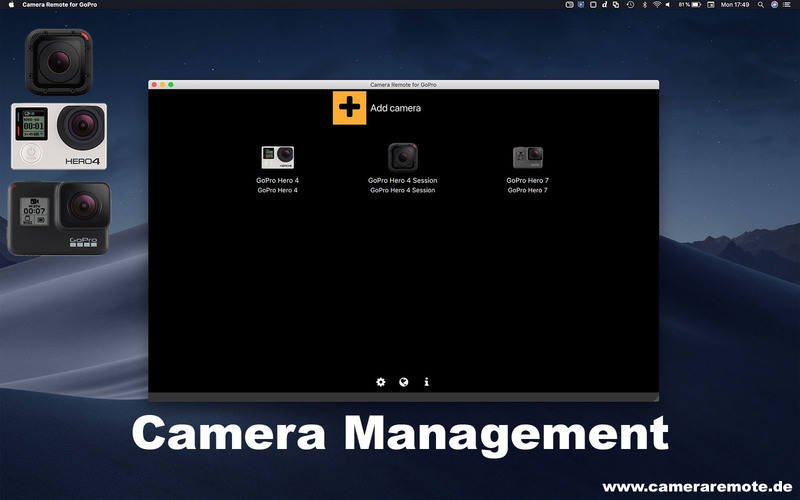 Manage multiple cameras (Note: it is not possible to control multiple cameras at the same time because each GoPro creates its own Wifi network!). *Automatic Wifi connection is not supported on Windows 7 and on the Mac App Store version (it is supported on the macOS version available here). The app runs on multiple platforms including Android, Apple iOS, Apple macOS, and Microsoft Windows. * The license is valid for both, the macOS and Windows version if purchased through our website. We offer a 30% discount on the macOS and Windows version if you already have purchased the mobile version for iOS or Android. Just send us the purchase receipt.